2014 has been a groundbreaking year for Nike. With the introduction of the Magista Obra and Mercurial Superfly Nike have really laid down the foundation for a new direction, which we can't wait to follow in the near future. 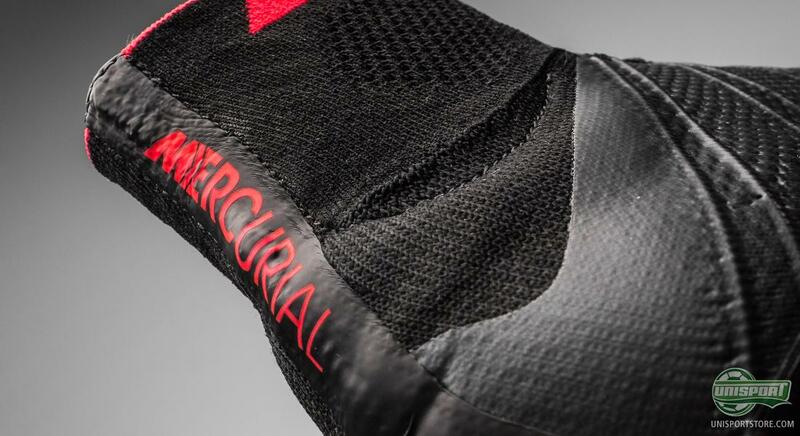 Here we take a look at the explosive Mercurial Superfly, which has been made with a completely black upper, in connection with the Black Pack. The revolution started long before Flyknit. Long before Cristiano Ronaldo. And long before the game had become so quick that a revolution was needed. Nike however just couldn't resist the temptation, when they in 1998 unveiled the first Mercurial ever, which was inspired by the arguably greatest striker ever, Ronaldo Lima. 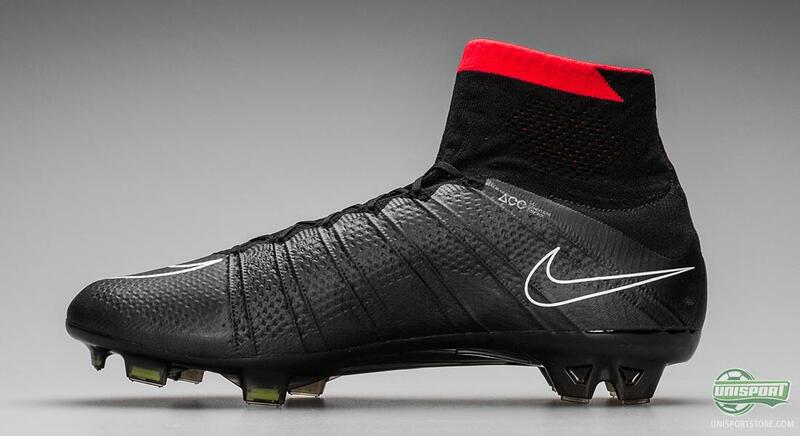 Now 16 years on and a whole lot of Mercurial boots later, Nike have done it again. Revolutionised football. 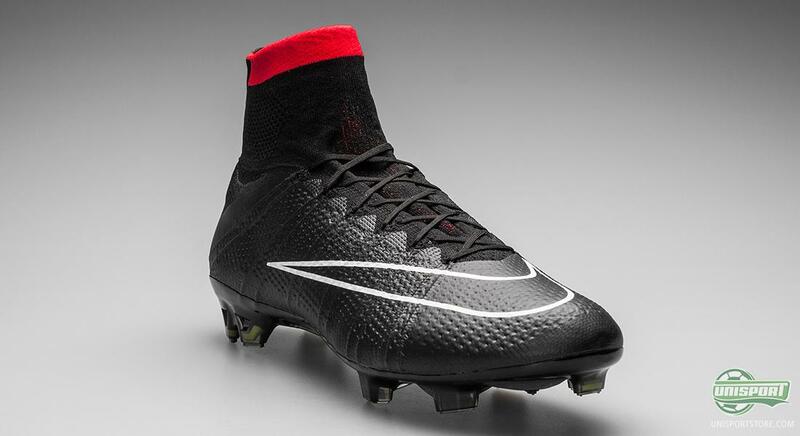 Find the Mercurial Superfly Black/Red/White and pre-order it right here – just 275 euro. 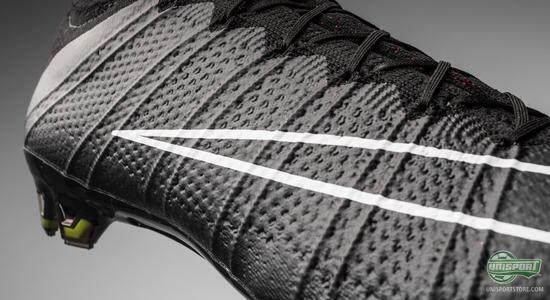 Nike Mercurial Superfly is what they call this revolution. A football boot developed to give an extremely explosive kick off and provide you with speed. This time it was not Ronaldo Lima, who was the main source of inspiration, but his namesake Cristiano Ronaldo. This has far from dulled things down. Quite the contrary in fact, it has made this boot even more iconic. 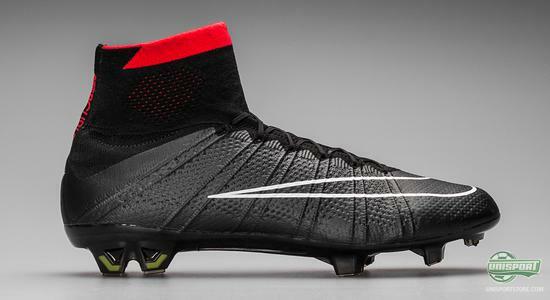 And now the new Superfly has arrived in a new colourway. 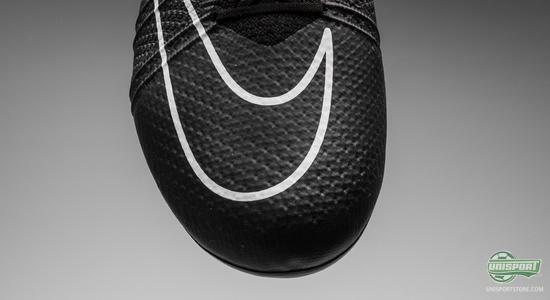 It is a part of Nike's Black Pack and the lights have been completely turned off and the explosive boot has been blacked out. The only colour that remains on the boot, is the same red colour, which we saw on the Hyperpunch collection that made up the Nike World Cup collection. 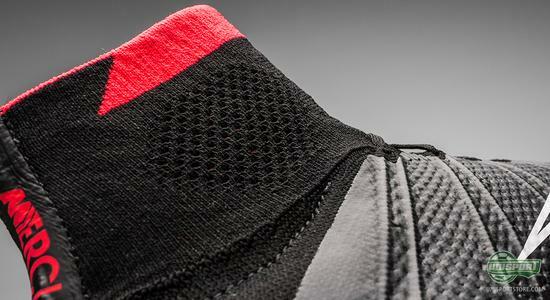 This accent colour is placed at the top of the Dynamic Fit Collar, which is a nice and discrete addition to the boot. And what so special about the Superfly? 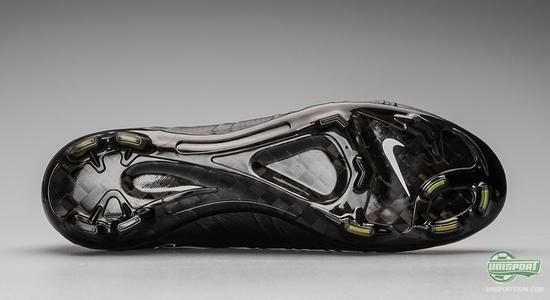 Well, there are several reason to be impressed by Nike's newest boot. 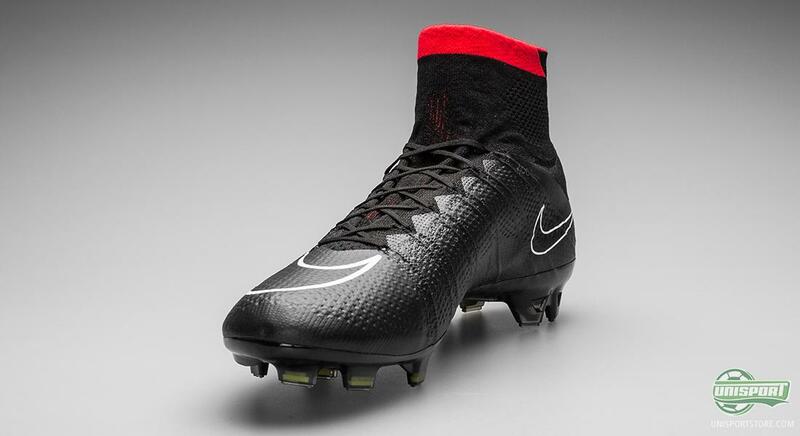 Because apart from getting a cool and exclusive black look, Nike's Flyknit upper is not something we see every day on football boots. Actually 2014 is the first time we see football boots developed with this form of knitted uppers, which has featured on adidas' limited Primeknit boot and naturally also Nike's very own Magista Obra. 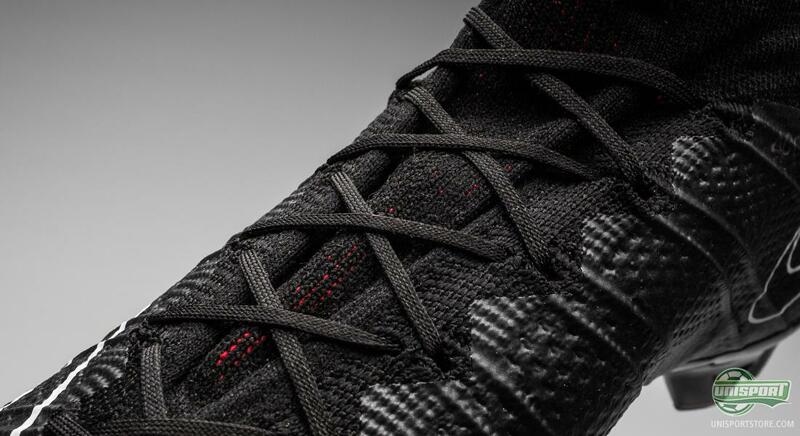 With Flyknit Nike have found an upper that gives both a unique barefoot feel and durable support for the foot. The material also allowed them to develop their Dynamic Fit Collar, which gives a completely new way of experiencing football boots. It gives a more complete feeling, as the boots feel more at one with the body. And where does the previously mentioned explosiveness come into play? Two things: First and foremost Nike have created a boot with an ultimate lockdown. This means that the fit is ultra tight, to make sure that the foot is firmly placed and stable inside the boot. This comes partly thanks to the Dynamic Fit Collar and also partly thanks to the Brio-cables that run through the lace holes and down towards the boots sole. They work to wrap themselves around the foot, when you tighten the laces and further improve the lockdown effect. By the boot being so close to the foot, CR7 and all the other Mercurial users will be able to transfer all their energy and get that explosive speed. 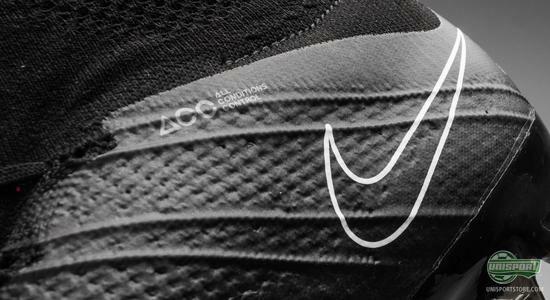 The pace is also helped by the two-layer carbon fibre sole that is made with enormous springiness, so the outsole almost works like a slingshot, when you kick off from the ground. 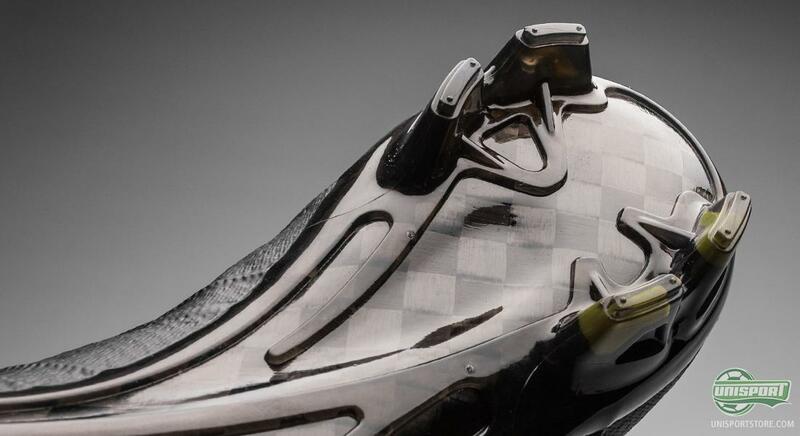 The reason the boot is made with two layers and not one, is that Nike's athletes requested that the sole be more flexible than previous models, which had carbonfibre. The new Mercurial Superfly was presented at a grand event in April, which was held in Madrid and here Nike brought with them several of their new models, including this blackouted version. Now it has been officially released and we have looked forward to this moment. What are your thoughts on Nike's Black Pack?